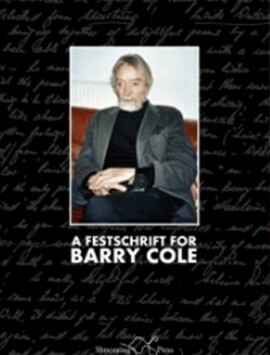 A Festschrift for Barry Cole brings together poems, fiction, and essays by friends and admirers of a greatly talented writer, who died in 2014 at the age of 77. The author of six full collections of poems as well as a number of pamphlets, and of four novels, Barry Cole is represented in major anthologies of 20th Century Poetry. Barry Cole was one of my closest friends, and his passing in July 2014 marked a grievous loss for me, and for many others, especially Barry’s wife Rita. I had known him for 45 years, since meeting him at Durham University, where I was studying for a degree in Anthropology and where Barry had been appointed Northern Arts Fellow for two years, to give advice to students who fancied themselves as writers, like me.